Have you convinced everyone you know to create their own Wizard101 account? Do you dream at night about leveling up? 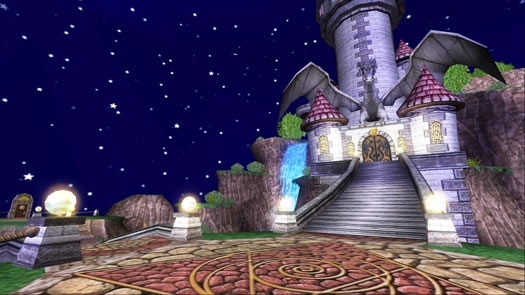 Many of us play Wizard101 deep into the night, only going to bed when we absolutely have to. If this sounds like you, check out some of our favorite surefire signs that you’re a Wizard101 player. 1. One week after your friend first introduced you to the game, you convinced your whole family, best friends, neighbors, teachers, and more to create accounts. 2. You’ve had an awesome dream about Merle Ambrose calling you into his office with a yellow exclamation point over his head. 3. By looking at your watch, you can tell how much time is left before your pet hatches. 4. On the rare occasion you’re away from the game, you find yourself humming Wizard City’s battle music. 5. You throw a whole apple in your mouth and try to eat it in one bite. Why not? If your Piggle can do it, you can as well. 7. Someone makes you mad and you immediately imagine casting a spell on them. 8. A friend borrows money from you and you insist on being repaid in Crowns instead of dollars. 9. In the car, you half expect a yellow arrow to tell you which direction to go and how many more steps until you get to your destination. 10. On Halloween, you rock your Merle Ambrose costume. 11. You secretly hope your local pet shop will start selling Unicorns or Pixies. 12. At the grocery store, you insist on paying extra for the Mystic Dragon Potato. The man selling the potatoes has no idea how valuable those items are. 13. You try teaching your dog how to talk like the ones in Marleybone. It doesn’t work. 14. At the end of class, you sink into your seat like you’re preparing to teleport. You only get up when everyone else has left and the trick doesn’t appear to be working. 15. As you walk down the street, you randomly pick up pieces of scrap metal, rocks, & sticks for crafts. 16. You feel a legitimate fear when you see someone dressed in all black. 17. You have more than one Wizard101 account. 18. You buy prepaid cards to expand your perfect pet collection. 19. You battle the same boss over and over until he or she drops that one hat you know will make your gear stats perfect. 20. You constantly scavenge the wares at the Bazaar, searching for rare items to put in pride of place at one of your multiple houses. What’s the number one sign to you that you’re a Wizard101 player? Thanks to all of our amazing Wizard101 players who gave us inspiration! See more funny lists like this on our message boards, on fansite Swordroll’s blog and on Wizard101 Central. ← Can Parenting Be Like Playing A Computer Game? Ya know, lol….I didn’t even think of ringtones. I went straight and dled them rofl! When you meet one of your best friends on the game. When you can’t stop talking, thinking, drawing, or writing about the game. This is true for me in all ways except writing, not my best ability. I have literally mastered drawing Helephant from memory. I am on wizard101 everyday and every chance I get out of a 24 hr day to play. When you keep pressing enter before you say anything to someone on other games or social networks. I suffer from the urge to pick things up for the side of the road. lol. I am an adult with more than one account. I play mainly with my adult sister, my best friend and my grandkids. We live in different states and Skpe while we play. Wizard101 (and Pirate101) have been great fun!! LOL. My son and I play W101 together nearly every night. I just changed teacher to boss in a few of the above. This is such a great game and we have so much fun playing together. #21 should be: You have in depth conversations with your friends about the best way to beat the latest boss like the Jabberwock in Avalon and how long until you level up to use that new gear. you miss your childs birthday party because you’re in the middle of a long dungeon…. Wizard101 IS THE BEST GAME! when you suddenly try to plant Couch Potatoes instead of the potato seeds you literally have in your hand! when you walk down the street and someone calls out your wizards name so you turn to answer but they dont have their name above there head and you cant mouse over to find out who they are oh wait a minute im not at the computer and my names not really Amber DOH!!!! XD who old time gamers whenever they go to the store are still searching for PAGODA gauntlet cards to place in your home, to make it easier then having to wait in the commons asking around for people who have it say #PAGODA!!! #Avatar the last air bender and Wizard101 CROSSOVER!!!! However, I didn’t do a Merle Ambrose costume, but I did do a costume based on one of my max Wizards. dis is funny dtuff, 😀 XD 😦 :), ‘ello, my name is… Random Gal! Haha, having multiple accounts is one. Farming or “hunting” bosses for good gear another, Like others, I bet when hunting for gear you get something your other account needs or something similar looking to what you are hunting o3o. It is still fun though :D! We can’t help we love being addicted :). I have 4 accounts and I can’t shut up about w101! I also gave it a nickname for it! WIZZY! You know you are a wizard101 player if you try to magically complete PARCC. Big fail. You know your a true fan when your a, tween, teen, or adult, and you proudly tell every one you know and meet that you play and love Wizard101. And you have successfully convince at lest one person you know or have meant to play Wizard101. When you’re in a Spelling Competition and you say “T-R-E-E” for “T-H-R-E-E”, “S-I-X-T-H for “S-I-X” etc. Of course it doesn’t happen when you’ve got Open Chat. Wizard1014Life! 1. When you walk into your house and half expect it to look like your dorm room or castle. 2. When you’re carrying a normal deck of cards and expect to see “Boss Deck” written over it in bold letters. 3. When you try to press x or click on an imaginary keyboard when you’re about to talk to someone. 4. When you randomly do stuff in the game that you don’t wanna do just to be preoccupied instead of doing nothing when you’re waiting for your energy to get back up to full. 5. When you look up sites like this and try to find every possible way to relate to every sign.